Some very positive news has broken about Lamar Odom's condition. 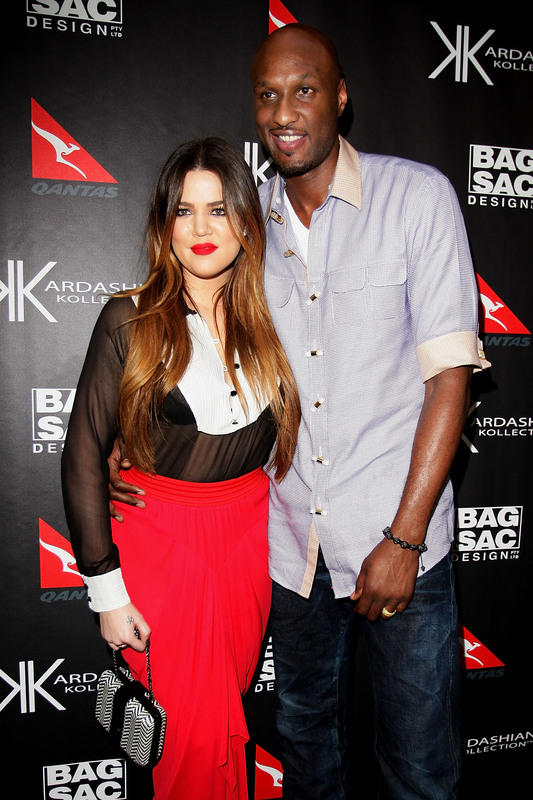 Lamar Odom reportedly spoke to Khloé Kardashian after coming out of a coma on Friday, according to E! News. The 35-year-old basketball star, who has been in the hospital since Tuesday when he was found unconscious at a Nevada brothel, reportedly saw Kardashian sitting on his hospital bed, said, "Hey, baby," gave her a thumb's up sign, and fell back asleep. According to sources who spoke with E! News, there's another positive sign that things are looking up for Odom: he's reportedly no longer using a breathing tube. Odom's rep released the following statement to Us Weekly on Wednesday in response to previous reports: "Family and friends are extremely concerned for Lamar. Please don't listen to the false information being circulated unofficially. Please respect the family's privacy during this difficult time." Bustle has reached out to Odom's rep for comment on the claims that Odom is out of a coma and spoke to Kardashian, but has not yet heard back. Kardashian, along with mom Kris Jenner and sister Kim Kardashian, reportedly flocked to the hospital immediately to be by Odom's side as soon as they heard he had been found unconscious. His situation sounded very grim at first, so it's great to hear a positive-sounding report. TMZ claimed on Wednesday that, according to their sources at the hospital, Odom's chances of survival were 50/50. He received a successful dialysis treatment for kidney failure, according to the New York Daily News, and the site also claimed he was conscious enough to squeeze Kim's hand in the hospital on Thursday. It's too early to tell whether this latest report will mean Odom will return to the same mental and physical state he was in prior to this tragedy. But I'm sure everyone praying for the 6'10" former Lakers star's return feels far more hopeful after this latest report.